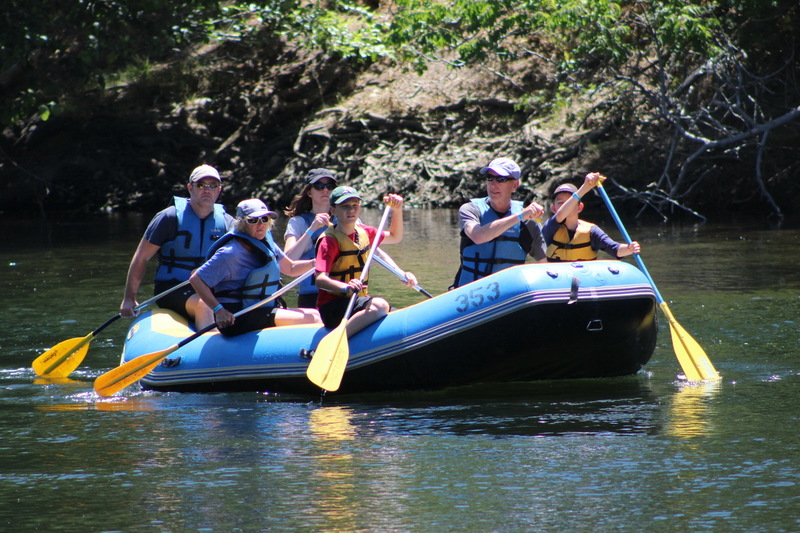 The Orange Blossom to Oakdale float is a 6.5 mile, 3-4 hour float trip on the Stanislaus River. This trip is available on weekends, and is a great way to get away from the big crowds on the Knights Ferry section. 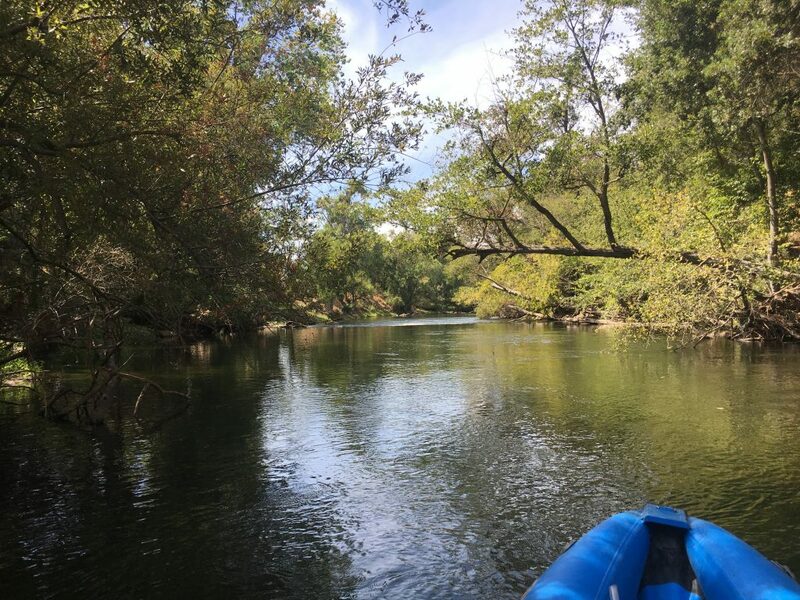 This mellow, scenic float trip includes small, beginner-friendly rapids, and access to Valley Oak Recreation Area near the halfway mark, which is a great place to stretch your legs and have lunch. Trips end at The Cost Less Shopping Center, which has access to snow cones, grocery stores, and pizza! This is where you check in for your trip (go to 800 North Yosemite Ave, Oakdale CA 95361, pull in the shopping center lot, take an immediate right past Pete’s Coffee)! Oakdale Shopping Center is a great place to pick up drinks and food before your trip (there are two grocery stores), and is a great place to unwind after your trip (there is a great snow cone place in the shopping center as well!). This will also be the end point of your Orange Blossom to Oakdale trip! Once you check in for your trip, you will board a bus that will take you to Orange Blossom Park. You will then raft the 6 miles back down to Oakdale Shopping Center, where your car will be waiting for you! Once we check the number of people in your party in and collect your liability waivers, it is time to get the fun rolling! 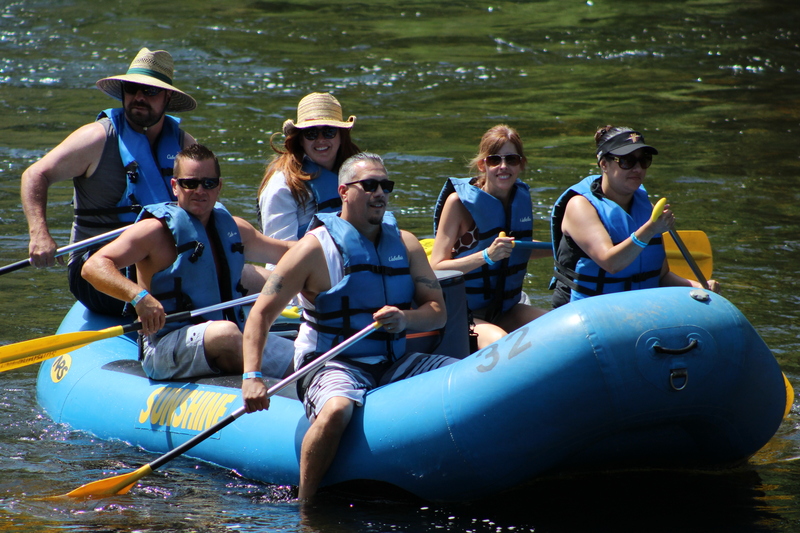 At this point, everyone gets onto a bus and is transported to the river rafting launch area at Orange Blossom Park!Orange Blossom Park after a Stanislaus River Rafting trip. 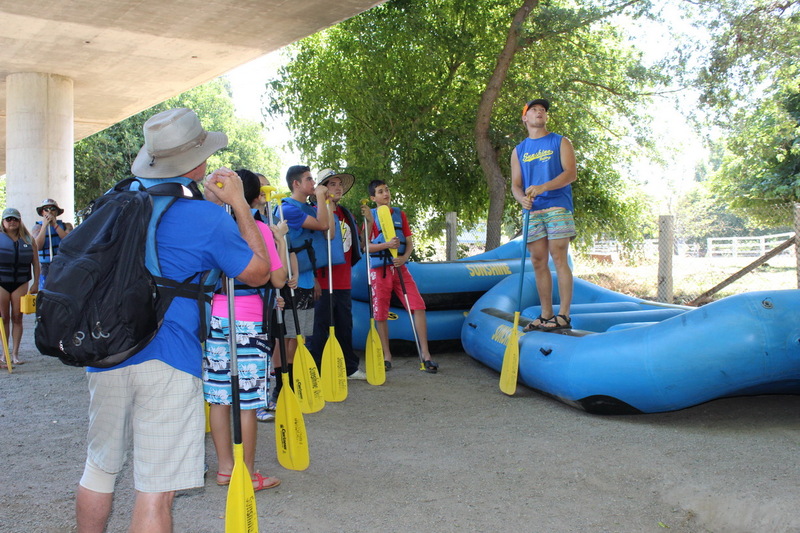 Once you arrive at Orange Blossom Park, everyone is fitted for life jackets, gets a paddle, and then huddles up for a safety talk, where we discuss the finer points of water safety before we help you launch your boat onto the water! Orange Blossom Park also has multiple picnic areas which you can use before you launch, and the park is a great place to have an early lunch before embark. 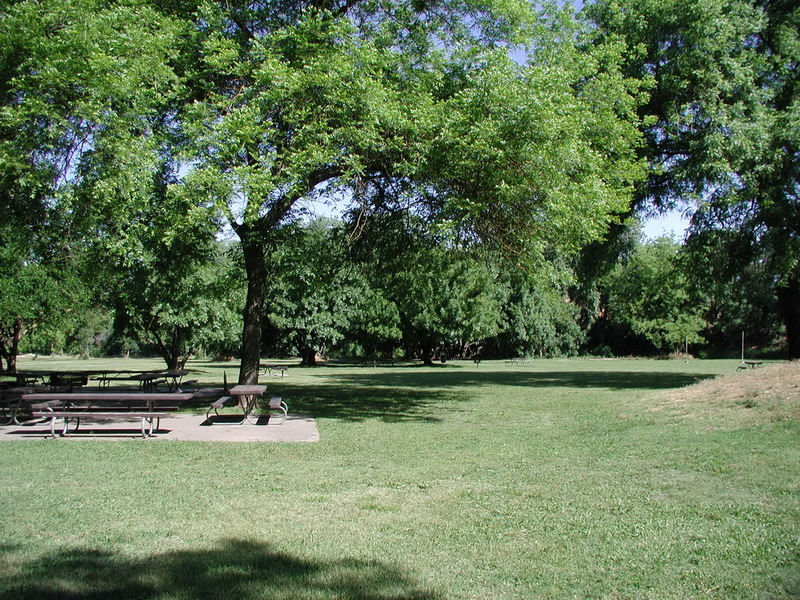 Acres of green grass shaded under trees provide a place to play volleyball, eat, or just unwind after your trip. After two miles of gentle floating you will come upon the best area to take a quick break! This raft-in park is on the right hand side of the river, and includes access to park restrooms. While going through the dense jungle-like flora of the lower Stanislaus, the river swings to the right! A beautiful rock ledge on the left hand side marks the area, so make sure to point your boat right as you cruise around the bend. While exciting, this rapid is still beginner-friendly! The best part of this section of water is the remote feel. Dense tree growth on either side creates a jungle-like vibe as you cruise down the Stanislaus River. You will cruise under the 120 Bridge and take out on the left hand side directly under the bridge. The bridge is over 30 feet above the water, so you won’t have to worry about ducking (or spotting it)! 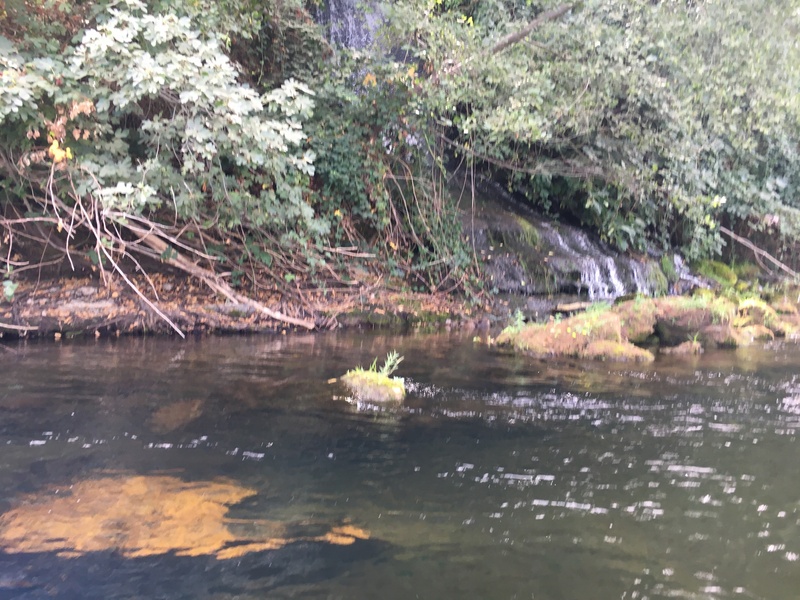 Miles of beautiful river scenery, places to swim and relax, as well as small mini-rapids that will keep things exciting! 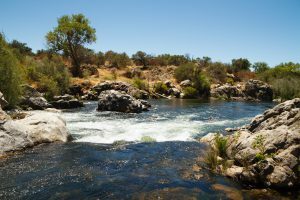 Highlights include: Knights Ferry, Russian Rapids, The Two Bluffs area, Lovers Leap, , Horseshoe Park, and Honolulu Bar.